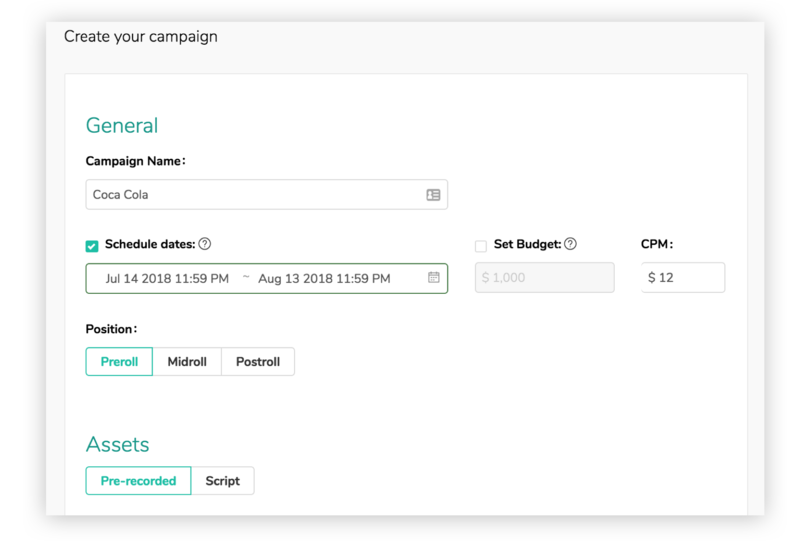 To view your ad campaigns and create a new one, click the main Campaigns button in the top navigation bar, then hit Create a Campaign. Then enter some standard details about your campaign. NB: The budget and CPM values are just for your own measurement and accounting purposes, and to impose cutoffs on the ad. For example, if you set a $20 CPM and a budget of $100, then the ad will run until the ad receives 5,000 downloads, and then will be removed from the episodes. After you have created the campaign, you can then insert it into any episodes which have the corresponding ad markers.